Carpet is a textile floor or stair covering made from thick woven fabric, typically consisting of an upper layer of soft 'pile' attached to a stiffer backing material underneath. Rugs are similar to Carpet, except that a rug typically does not cover the entire area of the floor and can be removed for cleaning. Rug sizes can vary from small 'throw' rugs to larger 'area' rugs which can cover much larger areas of a room. Marble Floors and Hardwood Floors. 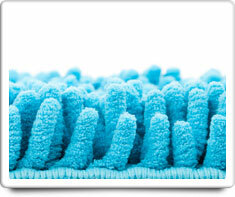 Shown in the 'Routine Care' section are the recommended routine maintenance tasks for your carpets & rugs. The 'Q & A' section shows answers to common questions. And the 'Articles' section provides helpful articles about your carpets & rugs.